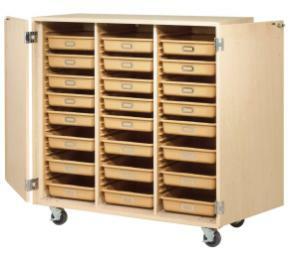 Organize materials or assign separate storage with this mobile tote tray cabinet with a durable 1" bottom. It holds up to 24 totes. 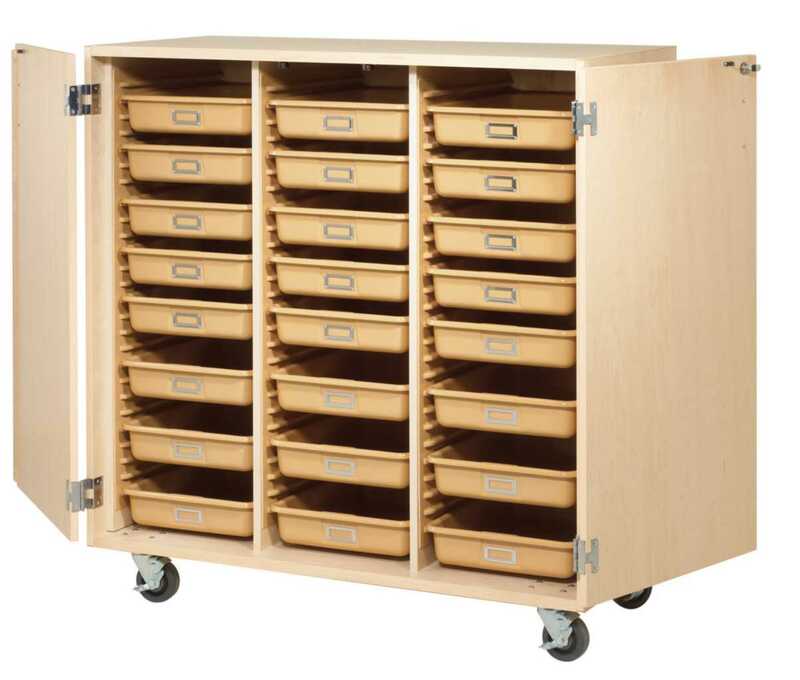 4" locking swivel casters allow the cabinet to be moved easily or just set aside when not needed. The unit can be ordered with locking doors or as an open cabinet.